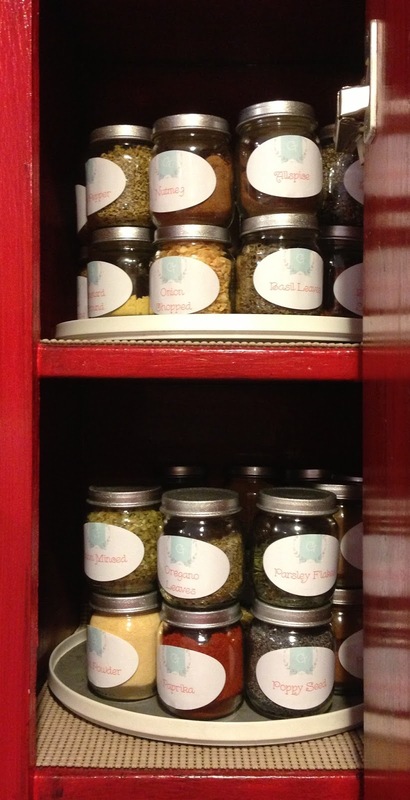 My spice cabinet was soooo bad, I will not post a before picture. You know, we all have one. 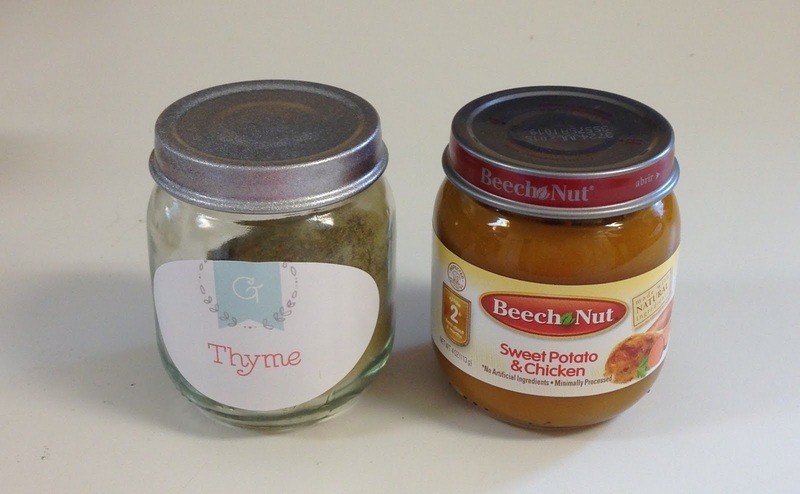 Having an empty nest also means grandchildren and baby food jars. I found that Beechnut Baby Food was cheaper than the others. I saved the jars believing I could find something to do with them. I recycle everything in my house and always try to think of another way to reuse things. I put them on lazy Susan's and alphabetized them. I love it! Here is a before and after. I love the G, it gives it the Graves touch! I used Avery 22814 Labels that I found at my local Wal-Mart. Then I went to Avery's web site and used one their templates and my ink jet printer. I painted the lids with Rustoleum Titanium that I found at my local Home Depot.